Many Americans grow up playing soccer. We’ve all seen the under 7s league where 20 kids swarm to the ball like bees to a hive. I wasn’t one of those kids, though. Home » Fielder's Choice » Why Footie? Many Americans grow up playing soccer. We’ve all seen the under 7s league where 20 kids swarm to the ball like bees to a hive. I wasn’t one of those kids, though. I don’t think it was because I wasn’t interested, I just never gave it a thought. Being raised in the Greater Boston area meant I had plenty of other sports to occupy me. Hockey wasn’t my favorite, but I was, and still am, diehard Red Sox, Celtics, and Patriots. I’ve even come to appreciate the Bruins. The only sport I played as a kid was baseball. My dad probably hoped I would grow into a decent basketball player, but, even though I was named after Kevin McHale, I wasn’t exactly blessed with his vertical. The idea of me in full contact drills is comical, so we’ll just avoid football altogether. Fast forward to my late teens and I was trying to get myself into soccer. I had been playing FIFA with my buddies for a few years at that point, so I figured I’d try to get into Major League Soccer (MLS). 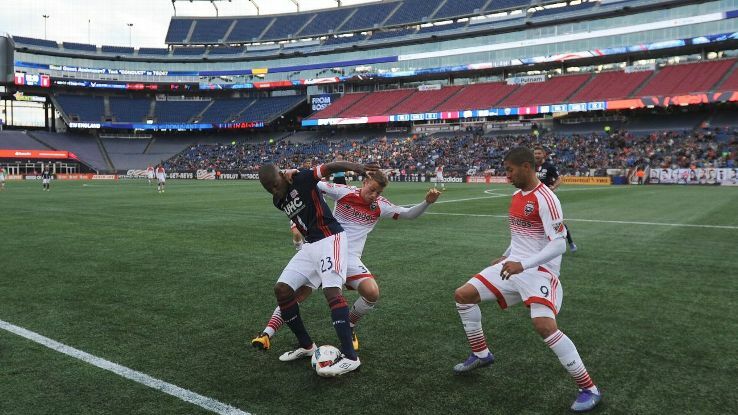 Since I lived near Boston, naturally that meant I’d follow the New England Revolution. The problem with becoming a Revolution fan was, well is, that they play down in Foxboro in the same stadium as the Patriots. Forty-ish minutes south of the city with no public transportation and an inability to pack out even one third of the stadium on a regular basis. Even though they were a pretty good team in the 2000s, they performed a lot like the Buffalo Bills of the early 90s. So close, yet so far. Needless to say, despite my best efforts I struggled. The pace of the game was way too slow and, with all the other hurdles, I had a hard time committing. I went to some games with friends when I could, but I struggled. After a couple years I decided I needed to start watching the English Premier League if I wanted to go all in on this soccer (football/footie) thing. My problem now was I didn’t know which team to follow. Getting behind the Revs was “easy” because they were technically my hometown team. Every team in the Premier League was at minimum 3,000 miles away, so the decision wasn’t going to be made in a similar way. I’d like to say I went through this long, drawn out process that assessed different clubs, weighed their histories, and followed how they were doing now, but that couldn’t be further from the case. My friend Eric took me to a bar at 10AM one Saturday to watch Tottenham Hotspur sometime in early 2010. It all changed from there. I started to consistently throw back three or four Guinness every weekend morning with an ever-growing group of loyal Tottenham fans. 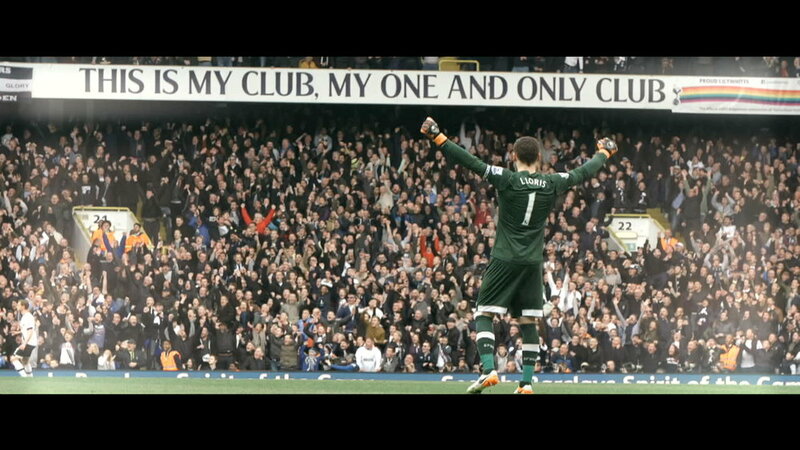 Spurs, as their supporters call them, captured my heart. I was learning so much about them and was enthralled by their flashy play. That group, Boston Spurs Supporters Club, made watching them that much more exciting. We were in it together, through the highs and lows. Some are from the Boston area while some are English expats who happened to settle there. Sports are obviously about the game itself, but the atmosphere is what seals the deal. For me, this is what gives soccer a leg above the rest of the competition. In 2012 I moved to London and it was such an out of body experience. I had never lived away from the Boston area, so I had some tough times adjusting. Now that I was in London, where Spurs were based, I went all in. I became a member of their loyalty club and went to as many games as I could possibly afford. I’ll never forget the first time I walked into their stadium, White Hart Lane. I was 24, and it was reminiscent of the first time I had stepped foot (knowingly) into Fenway Park seventeen years earlier. I had somehow scored a front row ticket on the Upper Tier behind the north goal in the middle of four long-term season ticket holders. That first step out of the stairway and onto the field was breathtaking. It got even better as Spurs handled Newcastle 5-1. I thought I knew what I was getting myself into, but you really can’t prepare yourself for what to expect until you’ve experienced it firsthand. The cheers, the songs, the sense of respect and camaraderie among the players, coaches, and fans. The glory of the badge itself. It’s something special that I have not experienced anywhere else. These days, my love for the sport continues to grow. Spurs are flying high and have positioned themselves as perennial contenders. Though the Revs are currently in the midst of the worst season I can remember, MLS is growing and gaining more attention across the globe. The U.S. Men’s National Team, who I’ve purposely avoided to this point, has one of the most promising crops of young players in my lifetime. My goal in this column is to help quell the stigma of soccer in the U.S. To prove that even a 1-0 can be exciting if you’re truly watching. To force upon you my love for Spurs, confusion around the state of the Revs, and how I think the USMNT can flourish with their young players under new management.